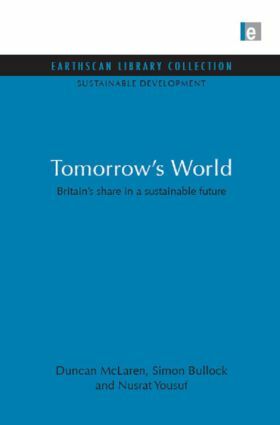 This title uses the concept of environmental space to resolve many of the issues facing us in the future and applies the lessons specifically to the UK. Believing that we occupy more environmental space than the world can afford, this book seeks to explain what we can do to live comfortably within what we actually have through efficiency and sufficiency. In addition, it aims to present the sustainable levels of consumption for Britain as targets for government, industry and households, as well as an idea of how to achieve them.